Hello! Welcome to my website - home to Jamie, Jemima, Timber, Teddy and all the gang in Grindlewood. Here you'll find out about Grindlewood past and present, its magic and mysteries, secrets and spells. The children and their pets have found Othelia's mysterious and powerful orb, but they must keep its whereabouts secret to stop it falling under Worfagon control. The Wandeleis are still recovering from a crushing defeat at the hands of the sorceress Zora. Another attack could spell the end for Grindlewood. Timber holds the key to its future. To succeed he must keep a heart-breaking promise and perhaps pay a terrible price. The race is on to unlock the power of Othelia's Orb, but what strange magic does it hold? Does the orb itself pose the biggest threat of all? The Secrets of Grindlewood tells the story of the Jamie and Jemima Grindle, Timber and Teddy as they battle Worfeus the Warlock. "I thought The Secrets of Grindlewood was awesome and now I can't wait for the next one to come out. If you like magic, action, and adventure in a book I think that the Secrets of Grindlewood would be a book for you"
After years of suffering under the Worfagon ‘tree spell’, the Queen is now bitter and angry. She is obsessed with Jamie’s beautiful dog, Timber and she threatens to keep him for herself, unless the children agree to come to her aid. They must find the lost Ancient Book of Magic, which holds powerful spells that can free her. Timber the brave malamute dog once again leads Jamie, Jemima and their loyal band of pets in a hair-raising adventure. 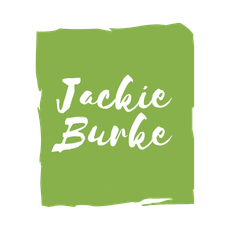 Have Jackie come to talk about creative writing, storytelling and the magic of Grindlewood! Hear me chatting to the Morning Show host Declan Meehan about The Secrets of Grindlewood: The Secret Scroll, Book 2 in the series. Find out more about Grindlewood and what inspired me to write the series. Find out more about Jamie, Jemima, Teddy and Timber as well as all the other characters. Forest Queen get her name and why is the Ancient Book of Magic so powerful? Have Jackie visit your school or library. See testimonials from teachers and librarians. Catch up on all the latest news from Grindlewood.